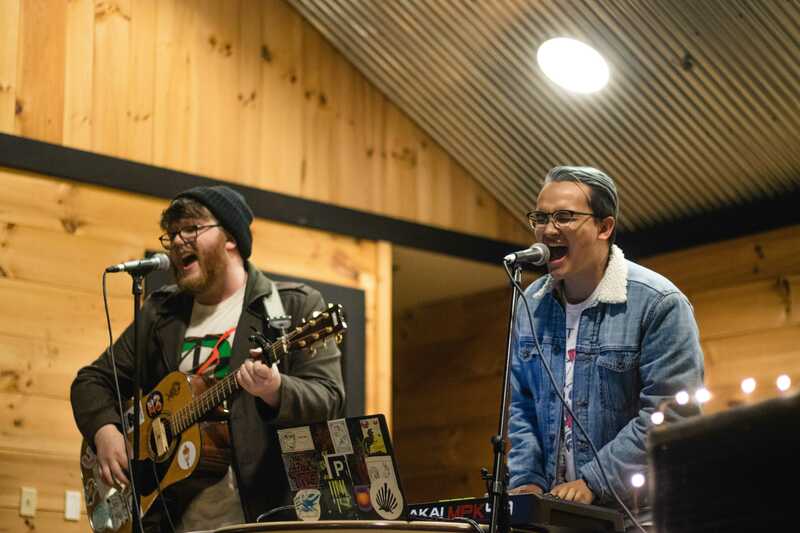 Last Friday, Wake Radio held its second annual Fall Concert in the Barn, featuring many talented musicians from the Wake Forest campus. Wake Radio decided to start the fall concert for a variety of reasons. Additionally, the Fall Concert is a way to show off student performers on campus, and giving them a platform to share what they do. This concert operates a bit differently than a regular open mic — performers had to apply to play and submit a recording to Wake Radio. From there, the staff listened to the submissions and read the applications, often comparing the quality of the performance to the tens of albums Wake Radio receives and evaluates on a weekly basis. Due to this, the “best of the best” were selected, according to Lawrence. “There is a lot of talent on campus, so we didn’t have to try really hard,” Lawrence said. This year’s concert featured a wide range of music including Selena Gomez covers, electronic music and original works. Freshman Tucker Mullins, of Kizzu, opened the concert with electronic music. Mullins performed something a bit original from what Wake Forest students were expecting, performing original pieces. “I thought Wake Radio made space for really beautiful collaboration and appreciation of the arts and creative expression,” said senior Caroline Vath. Juniors Morgan Briggs and Francis Sto. Domingo of Frank Motion also performed a longer set list. Their set list ranged from Ed Sheeran’s “Lego House” to Paper Kites’ “I Done You So Wrong” with Briggs playing the harmonica. “It featured a harmonica which is very different from our style, but we wanted to try new things,” Briggs said. She added that they like to call themselves an Ed Sheeran cover band, so they wanted to do something a little different this time. The concert allowed for many students to perform, featuring students from all grades, including those who performed solos to duos and with a band.